RFID Credit Cards: What you don't know WILL hurt you! 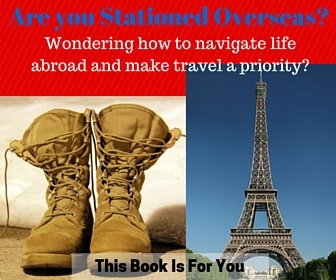 Home » Travel Tips » RFID Credit Cards: What you don’t know WILL hurt you! We’ve all heard stories about credit card fraud and there are plenty of ways thieves can steal your information without you even knowing it. Most people know of someone that has been jipped at a gas station in one way or another or some have just blatantly gotten their cards stolen from their back pocket on a subway. But now, there is an electronic way of pick pocketing that could be as simple as bumping into you; something not uncommon in busy, crowded cities. This new technology is known as RFID (radio frequency identification) that basically transmits your information onto a reader… And we aren’t even talking about the pick-pocketing yet! Many stores now will have a “Tap and Go” type technology where all you have to do is place your card next to a reader and it will quickly make the transaction. This is great for fast, on the go purchases, right? Wrong. The problem is that the technology that the stores use is easily obtained by anyone for around $50! With your own reader, it’s incredibly easy to wirelessly read anyone’s card number, expiration date, and CVV number; all the things needed to make an online purchase. Or, they could go a step further and with a slightly more pricey (but still not outrageous) card magnetizing tool, which can be bought for just a few hundred dollars, the crook can then encode all of your card’s information onto a blank card, making it look like their own to use in person. This all sounds horrific and terrifying. However, there are really easy ways to protect yourself from RFID Credit Card Fraud. Does your card have RFID? Traditional credit cards have the 3-digit CVV code on the back. However, the contactless cards, has an automated embedded CVV code. What is actually nice about the RFID credit cards is that this code can only be used once. Once a transaction is made, a new code is generated. What does this mean for your pick pocket? If they get to it before you do they are only able to use your card once due to the code changing, unlike traditional credit card fraud, where they can continuously use your information. Today, most credit card companies are extremely good at monitoring your purchases and alerting you of any suspicious activity. Some will even freeze you out until you can verify a purchase, making it even harder for thieves. Some frauders are extremely clever. They will make purchases that go undetected by either you or the credit card company. This is why it is extremely important to view each credit card statement thoroughly to ensure all purchases were, in fact, made by you. Ok, this is an incredibly over-simplified solution to the problem, but then if we went this route, how would we be able to travel hack and see the world for close to free??? The simpler (and less obtrusive) solution is to by a credit card pocket protector . You can get these for varying prices online from a few bucks to more expensive, depending on your personal style. For us travel hackers, we usually have more than just one credit card on us at a time. Plus, for anyone traveling, it is important to have a backup just in case. So, having a wallet protector isn’t a bad idea either. Once again, online there are varying prices for wallet protectors that will surely to fit your price point and style. 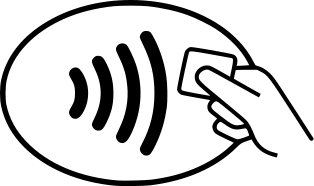 If you are applying for a new credit card, check to see if it has the contactless feature. It will often state that it is “Tap and Go” or “Wave and Go” (pretty much anything that says, “go”). Many cards have a non RFID version of the same card available. What to do if your credit card information was stolen? If your card information was stolen, credit card companies are extremely helpful. The general timeframe is that you can call within 60 days of a fraudulent purchase and you will be covered with a full refund as well as a new card and number. Technology is an amazing thing, but it can be extremely frightening when there are safety concerns that we may not even be aware of regarding to the fast paced, technological world we live in. Don’t let naivety hit you where it hurts; your wallet. 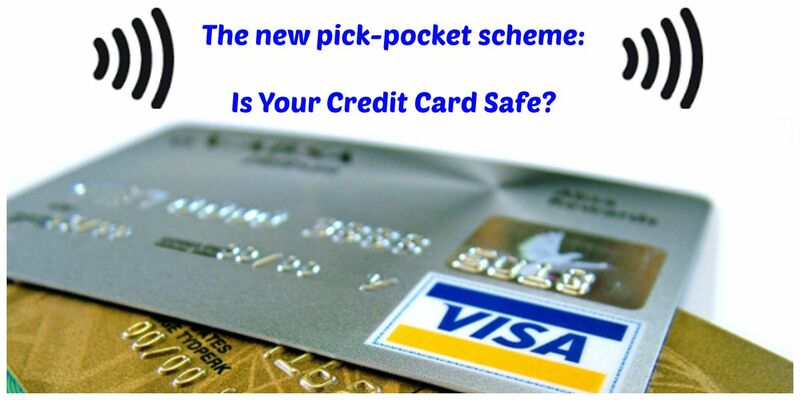 Let your friends and family know how to protect them from the newest way of credit card fraud and pickpocketing.